Bestcanadavpn is a free VPN provider and we reviewed it as such. They provide a sturdy enough service for browsing and media streaming which is more than you can ask for a free service. Depending on your needs, this service might just be for you. BestCanadaVPN.com is another VPN service provider in the Free VPN heap. Strongly related (by whois info, at least) with BestUKVPN.com service, they offer the same run-of-the-mill experience as their peer in the UK. 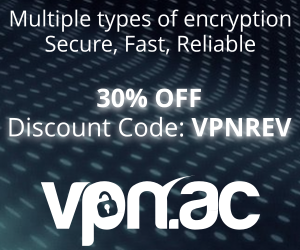 The free VPN username and password combination is visible on their website and the password is regenerated regularly. They clearly state that the service is offered for privacy and online anonymity and that any kind of abuse will be reported to related authorities, if needed. This provider offers the go-to protocol for most free services, namely PPTP. While highly-compatible with all major operating systems, be it desktop or mobile (Windows, Mac, Linux, iOS, Android etc.) we would’ve loved the option of L2TP or OpenVPN. Their server is hosted in Montreal on the iWeb Technologies network, on of the largest providers in Canada, and they state a 99.999% SLA with over 50Gbps Capacity (that’s the network capacity of iWeb, not the Free VPN server). The outgoing traffic travels via Teleglobe, Videotron, Peer1, TorIX and DT newtorks for both inbound and outbound connections. While PPTP is largely supported on most devices out there, the BestCanadaVPN.com website offers configuration guides for Windows and Mac OS X Only. This shouldn’t be a issue for tech savy users, but then again, the average computer user might have some trouble in configuring their iPads or Android Smartphones, without a specific guide. But the good news is that there are tons of howto’s and tutorials on Google on how to setup PPTP on [insert device/OS here]. The F.A.Q. section of the website isn’t pretty helpful either, and honestly, it does not answer any important questions like those regarding the Data Retention Policies. It only rambles about the technological aspects of using a VPN connection and the encryption methods used. Let’s see how fast it performs. We averaged between 2 and 4 Mbit/sec in most of our tests, which is a decent speed for a PPTP VPN, especially since it comes free. Connection was stable in our tests for over 3 hours. BestCanadaVPN service sits tight next to its competition and is similar to bestukvpn.com, its “sister” service in the UK (see our bestukvpn.com review). The speed tests show that it is fast enough for browsing and media streaming on Canadian restricted sites such as citytv.com. Some more connection tutorials on their site would be useful, but that’s probably work in progress. Even though we like bestukvpn.com more, so we give bestcanadavpn.com the same rating of 7/10 in the free VPN category.